I went to a family Easter gathering party type thing yesterday and had a lot of fun, and too much food. Look at feast!! 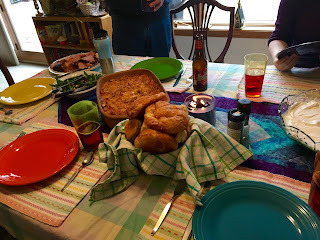 There was ham, potatoes, croissants and sweet rolls, green beans, and jello. I went crazy over the potatoes. They were so good! After we had all eaten and cleaned up the dishes, we all decided to go for a walk around the neighborhood (to at least make us feel better for all the food we consumed). 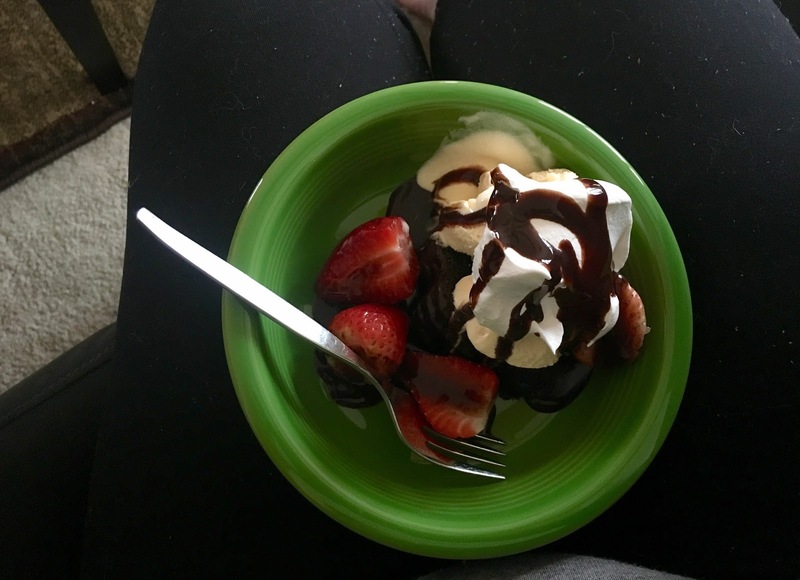 When we got back, we had desert *picture below* It was vanilla ice cream, with strawberries, whipped cream, and chocolate drizzle on top. YUM. This again please. 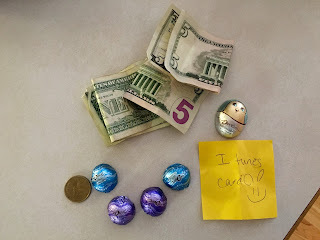 After we finished the desert, there was an Easter egg hunt! See! Not only for aged 10 and younger! There were a total of 30 eggs hidden around the first floor of house. I found 7 eggs. Here is my winnings from my collected eggs. EASTER EGG HAUL! We ended the day by watching RED, with Bruce Willis and Helen Mirren. never seen it, but it was pretty funny! By this point, I was pretty full and TIRED. I fell asleep on the car ride home and went straight to bed. Overall, pretty good day. Lots of food, laughs, and most importantly, chocolate.